The apple season varies depending on the variety, but most apples reach maturity between September and March. 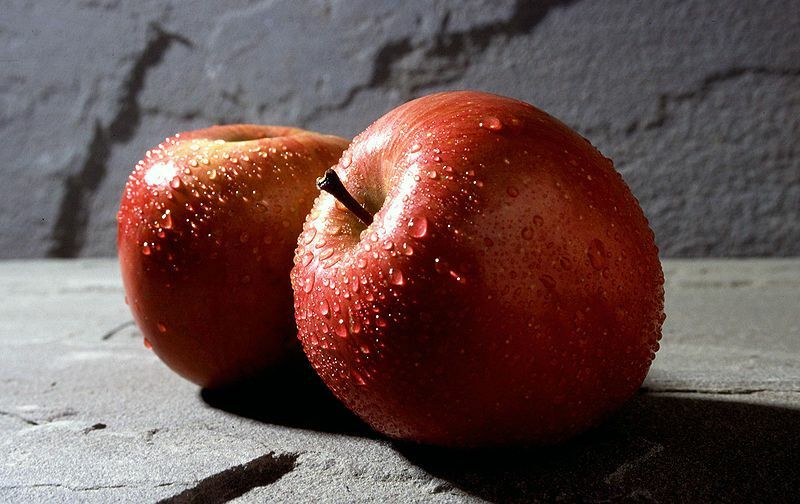 Apples are fruit that are low in calories (40 kilocalories per 100 grammes) and rich in vitamins (B, C, E) and fibre. The pectin in apples helps fight bad cholesterol, and the antioxidants in apples help fight high blood pressure. The fibres also help intestinal transit. Gala is very sweet and is a great type of cooking apple. Apples can be kept for several days in a fruit basket in a room that is not overheated. To prevent them from continuing to ripen, keep them in the crisper. Apples can be eaten fresh or cooked. They are also very good alongside savoury dishes.